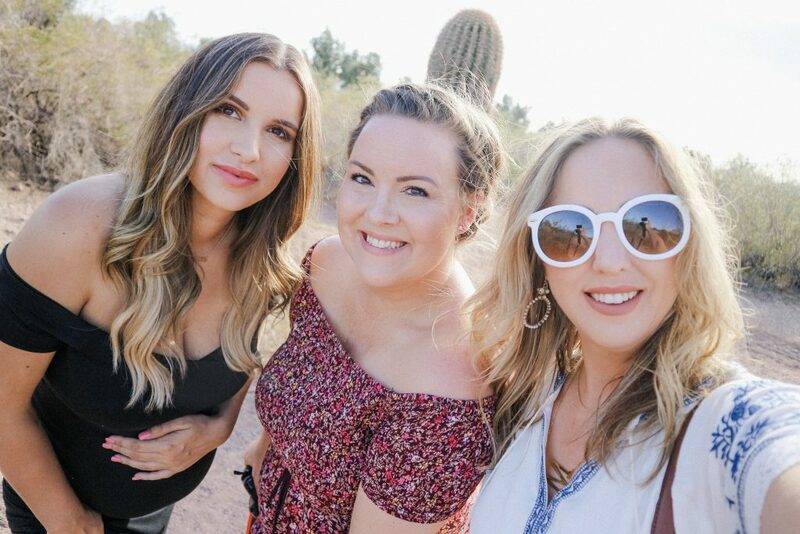 I can’t believe we have been home from Scottsdale, Arizona for almost two weeks! I have been traveling a LOT, but I couldn’t wait to sit down and get started on my travel guide. 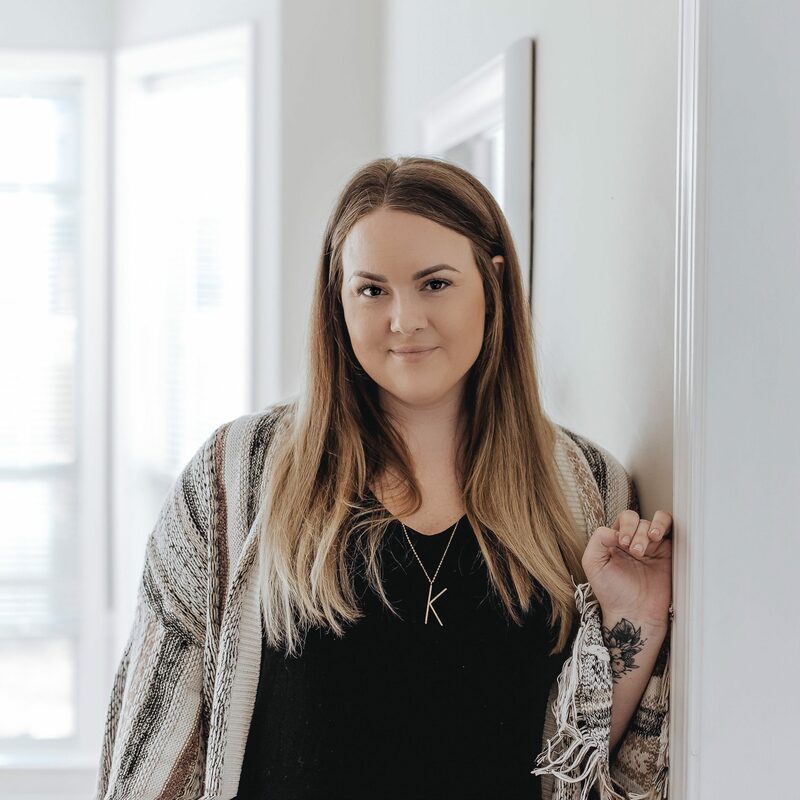 I have a group of best friends that I met through blogging. We are spread out around the country, but we make it a priority to get together as much as we can. 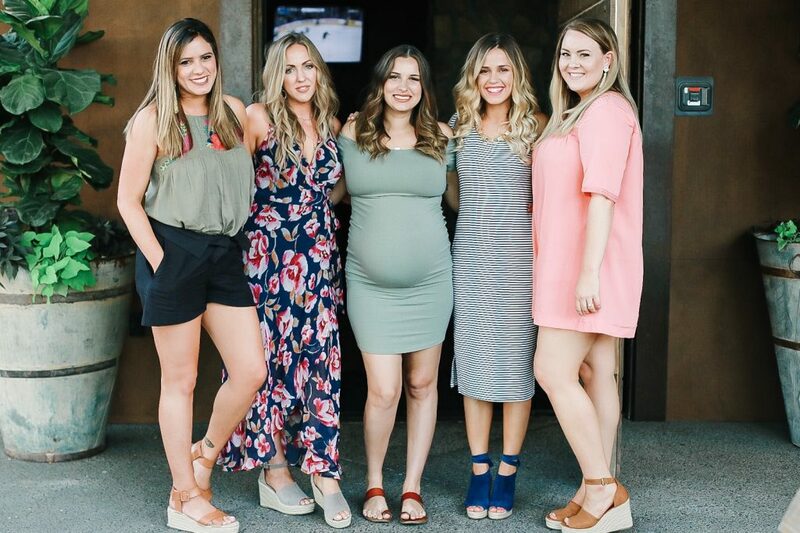 Since our sweet Bethanie is pregnant and local to Arizona, we thought it was just as good of a time as any to check out the Southwest! With that, we planned our squad trip to Scottsdale. 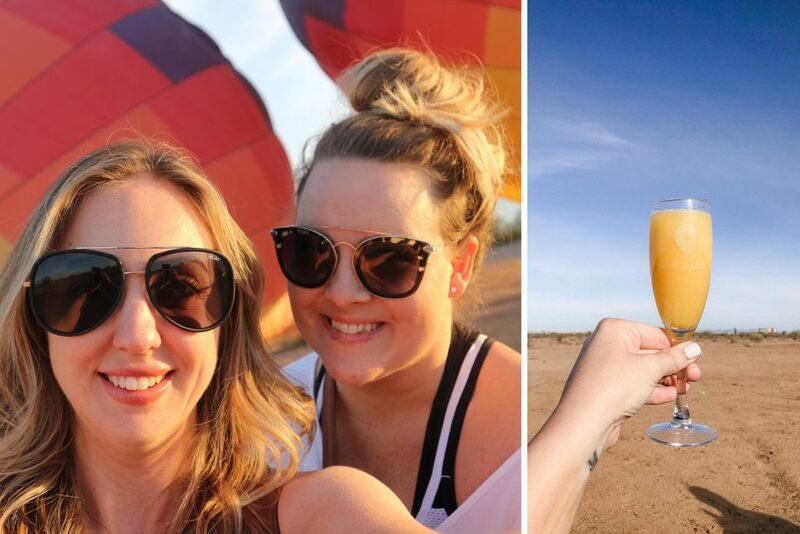 We experienced a LOT in four days, so bear with me while I recap the fun details of our girls trip. The lodging for our four-night trip was broken up into two halves. 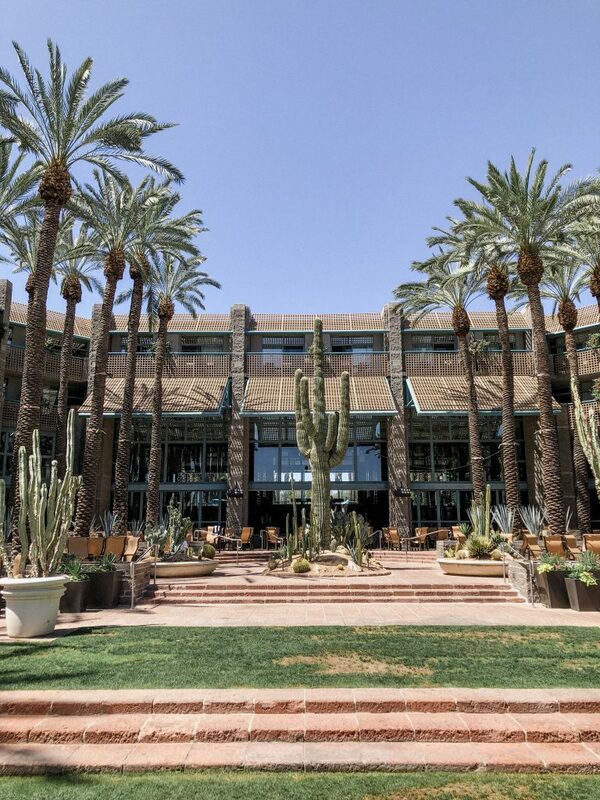 We stayed the first two nights at The Hyatt Regency Scottsdale Resort & Spa at Gainey Ranch. 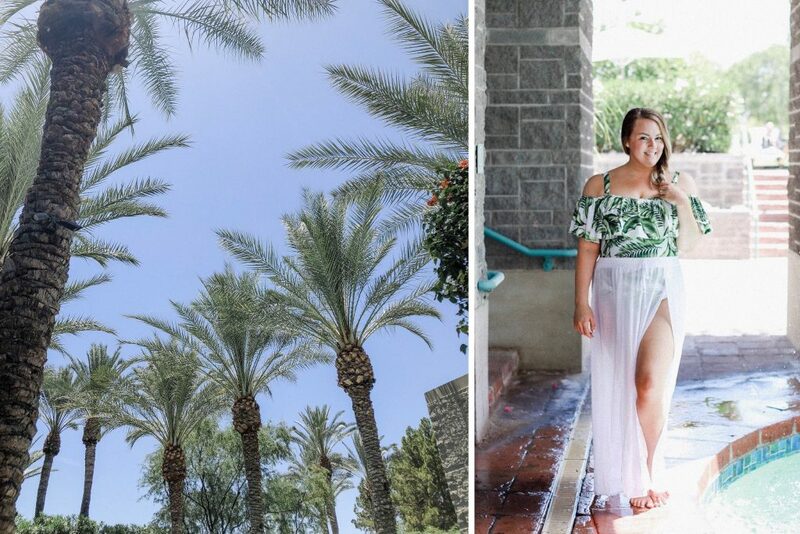 The Hyatt was the perfect place to get a true “resort” experience. By that, I mean that it was truly a place that you would never have to leave while on vacation. It has everything you need from food, spa, to water activities, nightlife, and even childcare! The property is huge and stunning. There are multiple pool areas at the resort with features throughout like a spacious hot tub, a swim up pool bar, and even a water slide. There’s a water volleyball area and cabanas for rent, too. At night, there is live music and plenty of patio lounging to enjoy with a cocktail from the bar. 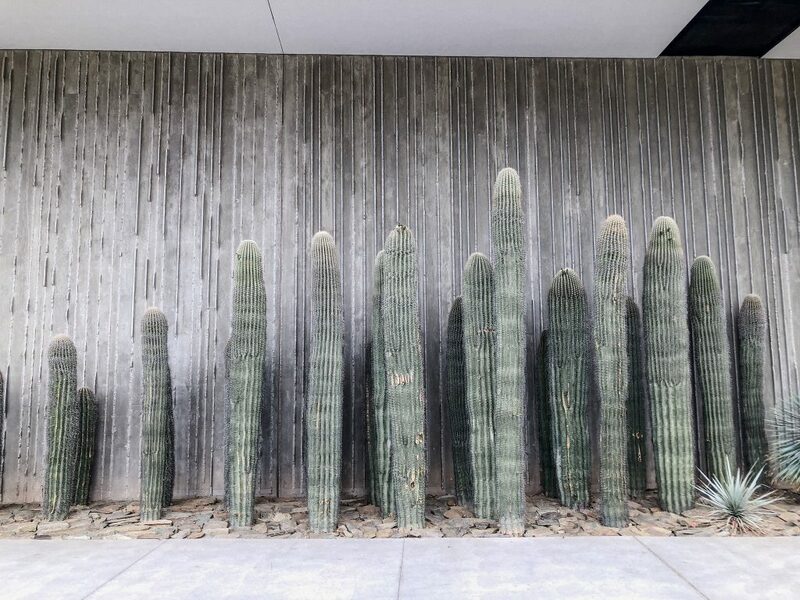 Don’t forget the plethora of cactus photo opps, either! There was no way we could even see everything in our two days at The Hyatt. It was that magnificent. The next two nights were spent at Hotel Adeline in the heart of Scottsdale. A totally different energy than The Hyatt, Hotel Adeline had the “trendier”, quirkier lodging experience. 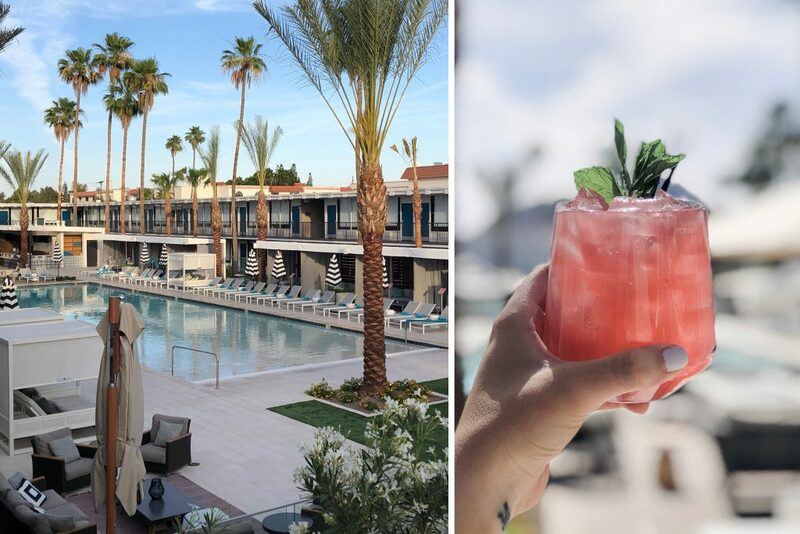 After going through a 12 million dollar renovation, this former Days Inn hotel looks like something that was transplanted from Palm Springs and dropped into Scottsdale. 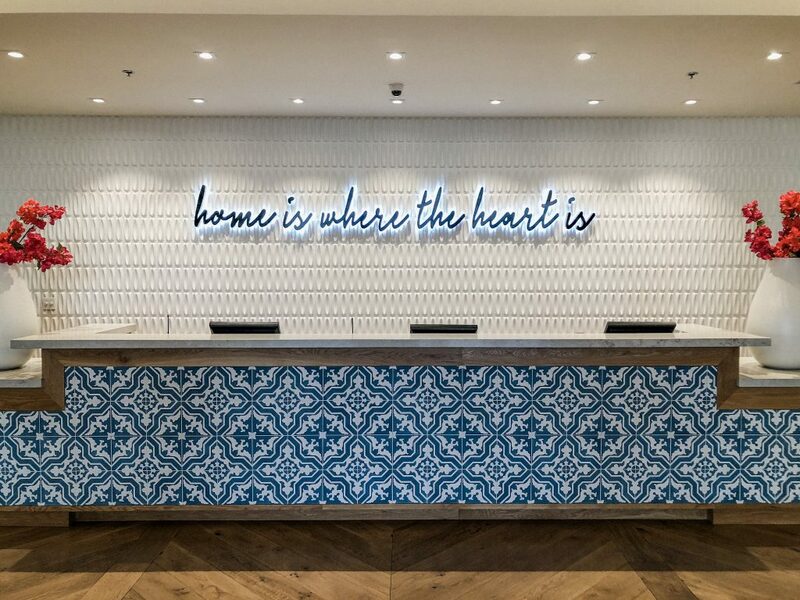 Upon walking into the lobby, I knew this hotel was right up my alley. 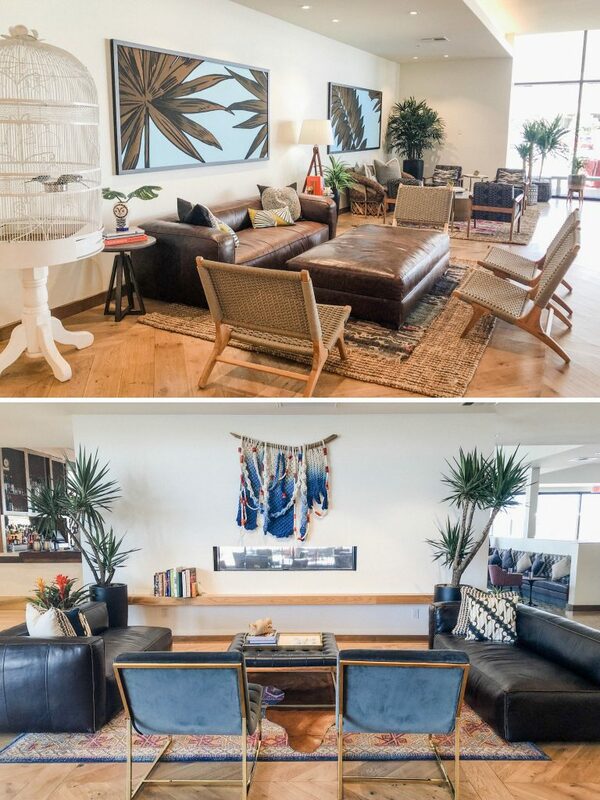 The design aesthetic was modern/boho with eclectic decor and a hip vibe. Chill music played throughout and the friendliest staff were always around to make sure we were taken care of. 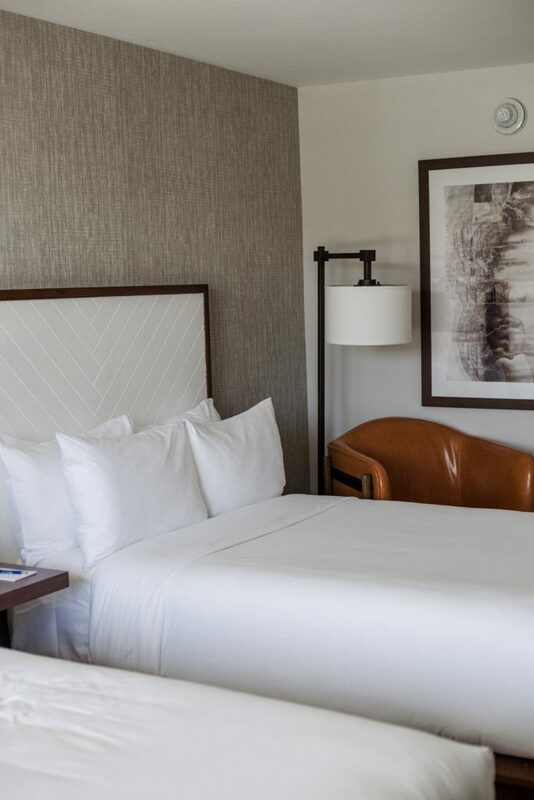 The cozy rooms were no less adorable, with equally as gorgeous decor and functional amenities. The property had no shortage of “grammable” spots for photos and boomerangs, and we took full advantage of that. The common outdoor area that surrounds the perfect pool was my favorite. 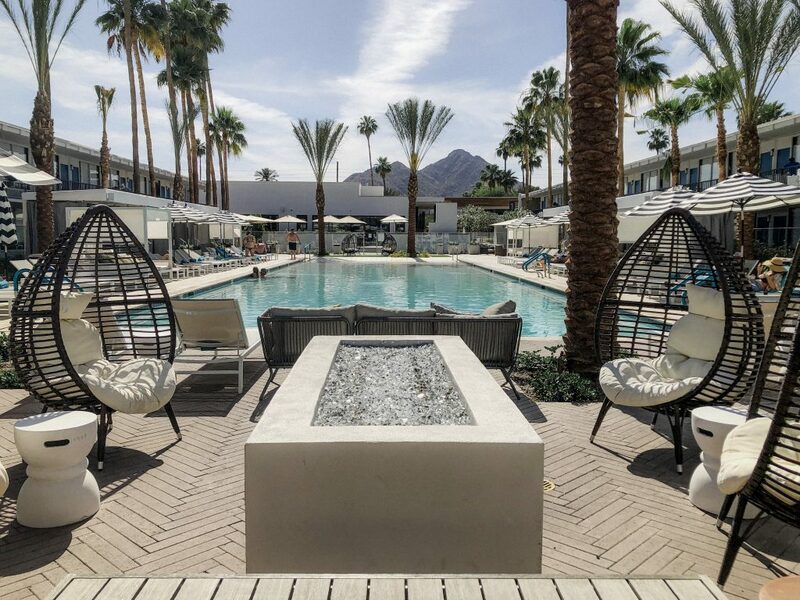 There are cabanas, seating areas, fire pits, a game area, and an amazing bar. There are two delicious restaurants on site as well (more on that later). Tip: Ask about the secret whiskey bar. 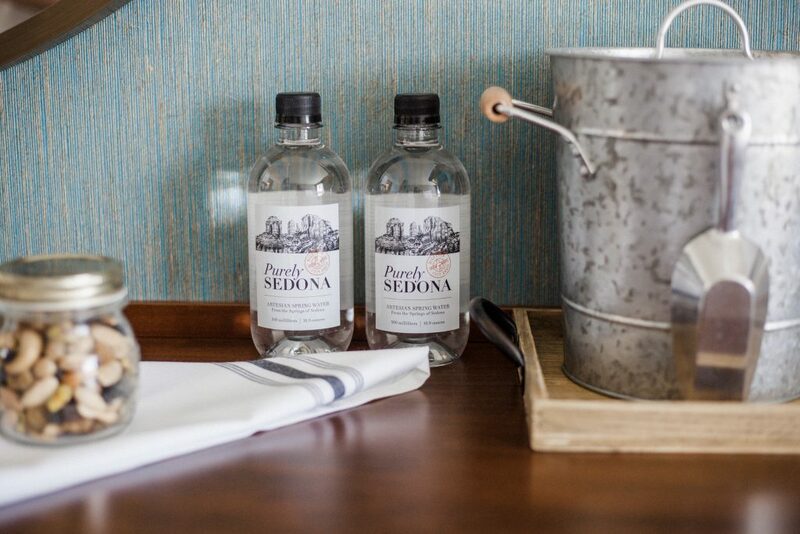 Hotel Adeline is just a few minutes from Fashion Square and Old Town Scottsdale, both of which are a must visit. 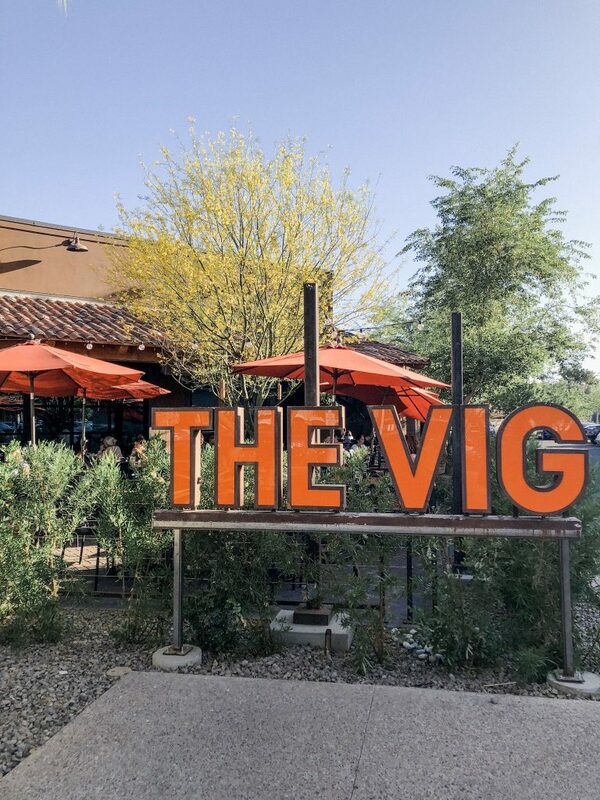 The Vig is a super chill restaurant in the valley just a couple of minutes away from The Hyatt. 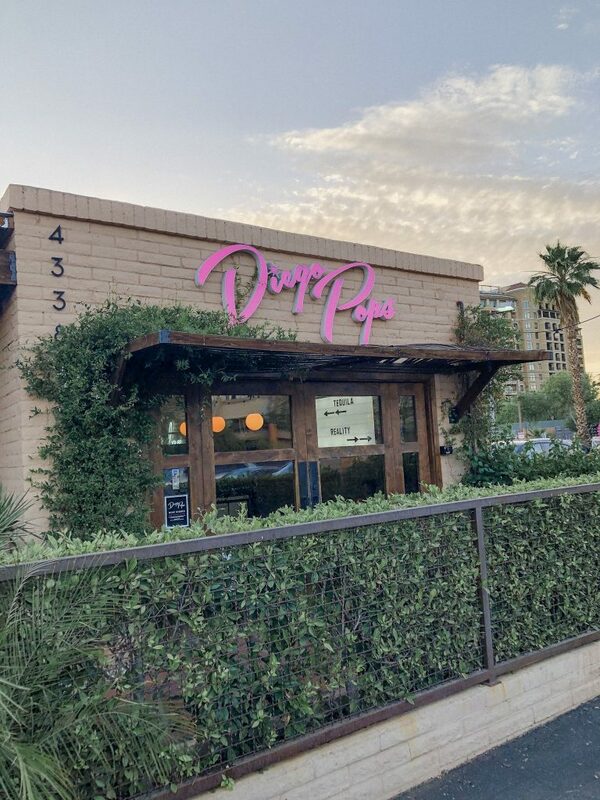 I loved the adorable patio seating and upscale vibe, but with affordable prices. The menu had all the enticing options you could think of and the service was impeccable. It was the perfect spot to catch up and kick off our trip. 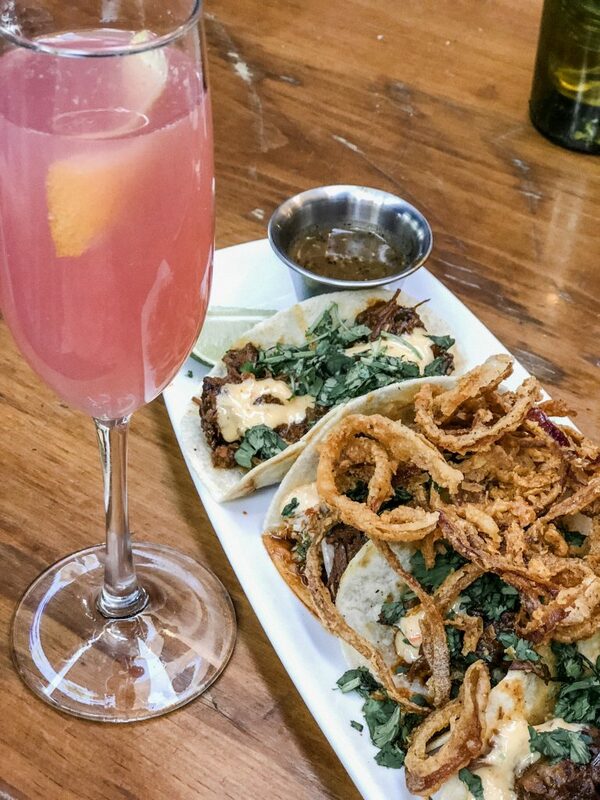 What to order: Short Rib Tacos and the Coug Cup cocktail. This staple Mexican eatery is a far cry from your traditional rice and beans. 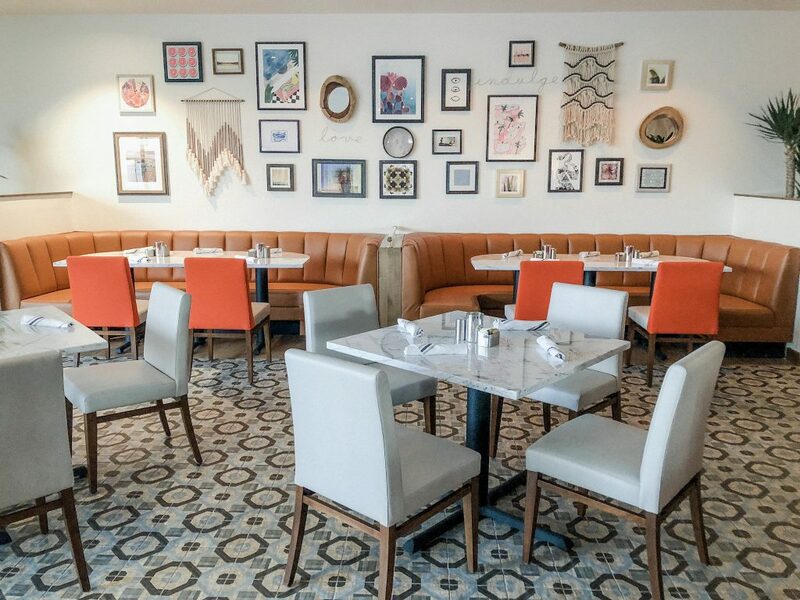 This playful spot in Old Town was the perfect place for a fun spin on some south-of-the-border cuisine. The cool ambience from the neon lights and unique art made our dinner even better. There wasn’t anything on the menu that didn’t look absolutely incredible. What to order: Street Corn Queso, Braised Pineapple Pork Bowl and the Watermelon Mint Blossom Margarita. 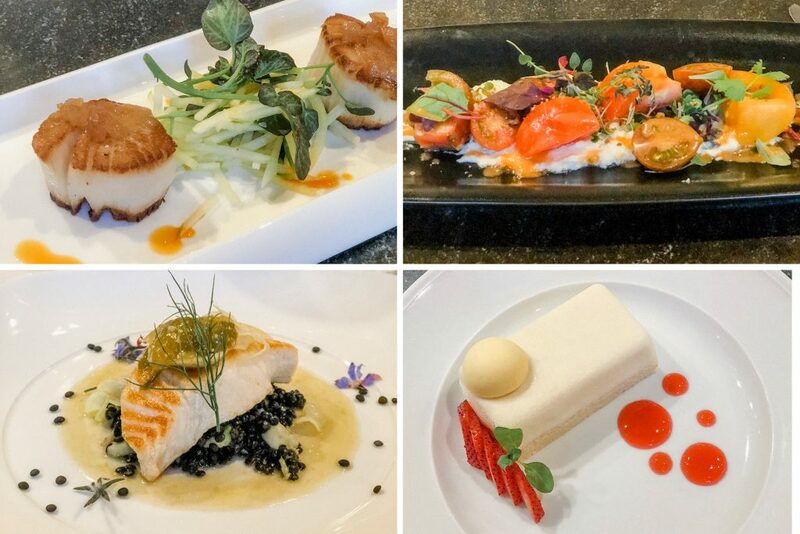 While staying at The Hyatt, we were able to enjoy the Wine Me Dine Me experience: a custom four course meal complete with special wine and tequila pairings. Chef Juan explained all of his creations in detail, walking us through his craft and blowing us away with Southwestern inspired flavors. We feasted on an heirloom tomato salad, a sea scallop appetizer, a main course of Halibut, and a finale of the most amazing cake I may have ever had. Each course had it’s own wine or tequila. 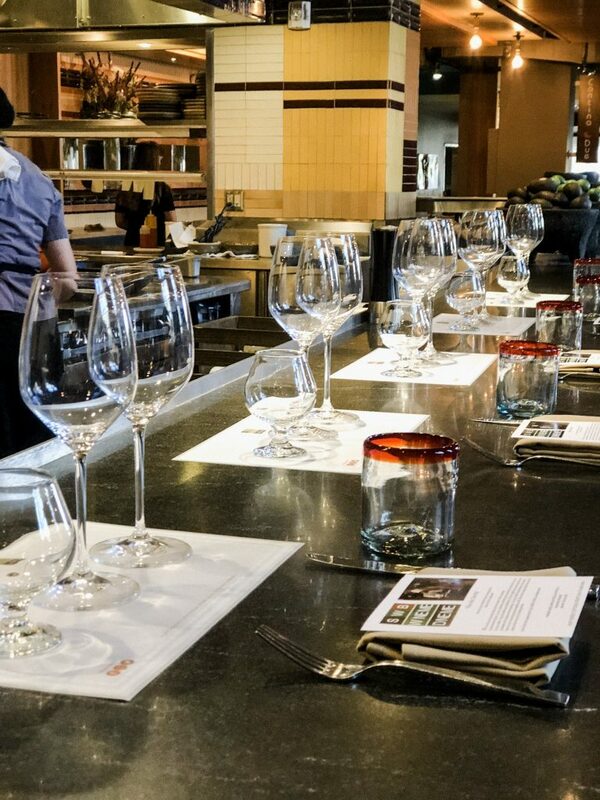 Wine Me Dine Me was a great way to open up your palate to local flavors and flair. This was definitely one for the foodies, since you are at the mercy of the culinary artists themselves! 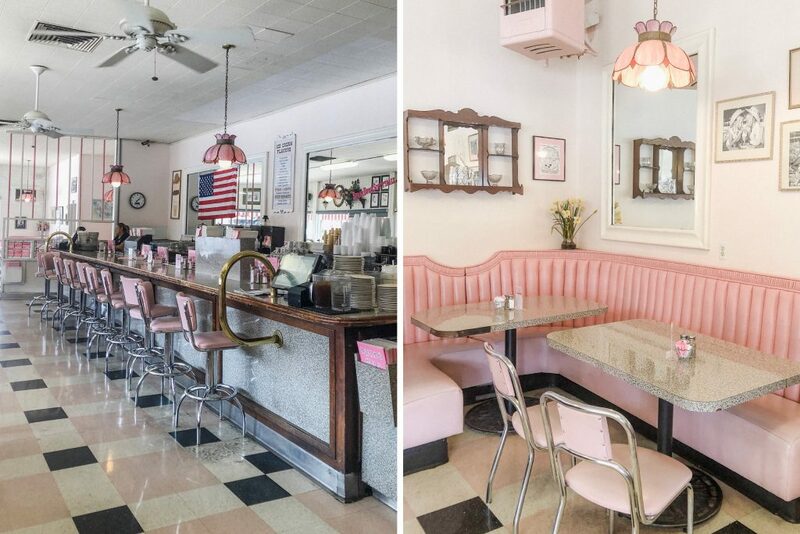 Attached to the lobby at Hotel Adeline, is the most adorable restaurant you ever did see. (That’s not surprising, considering the rest of the property.) Let me tell you, it’s more than just a pretty face. Selfmade nearly put me into a food coma. There was so much on the Mediterranean-American menu that I just HAD to try, that I ended up totally stuffed and HIGHLY impressed. I tried much of the menu and everything was absolute perfection. Whether or not you stay at the hotel, you MUST treat yourself to Selfmade. 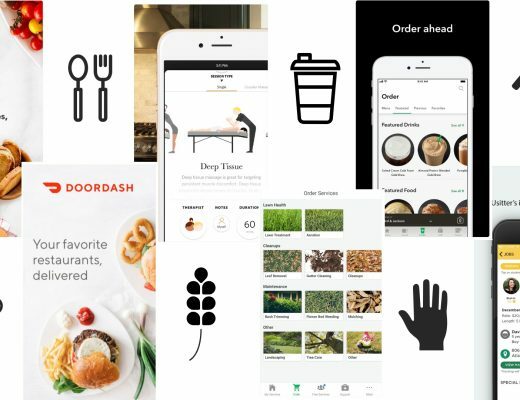 What to order: Asparagus Pizza (with smoked mozzarella and a fried egg), Roasted Beet Salad, and a million orders of the Creamy Horseradish Gratin Potatoes. Enjoy a spa day at Spa Avania. 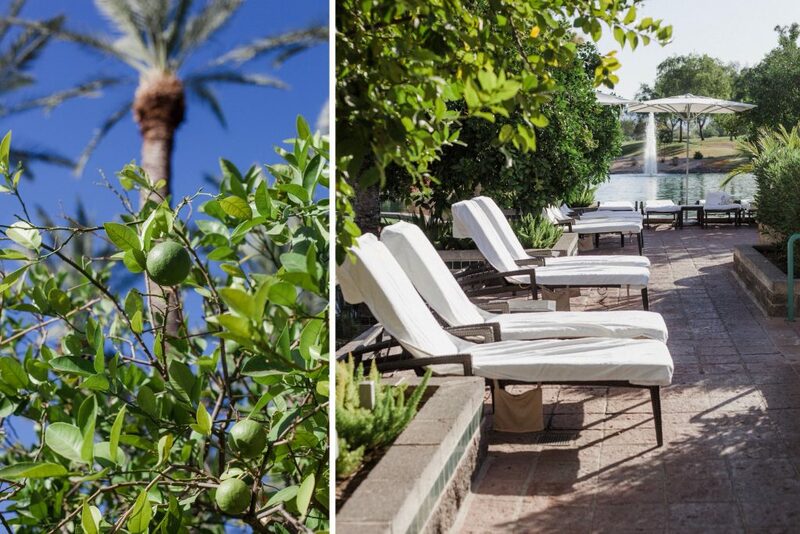 The Hyatt boasts an incredible spa on their property called Spa Avania. We were extremely impressed with our time there. 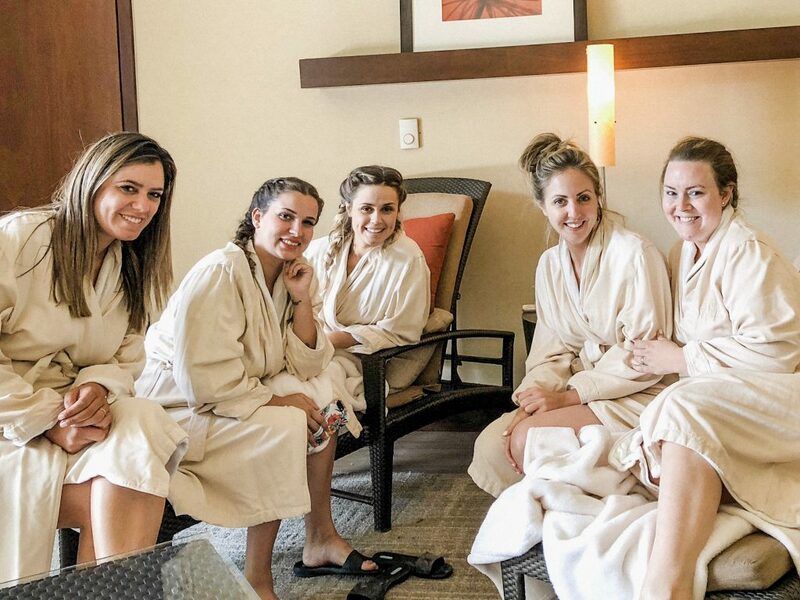 We were all scheduled for massages, but in between treatments, we relaxed in the relaxation room or explored the mineral pool area. We ordered lunch on site, and really just took our time relaxing and soaking in the down time. I had a headache that day, so when it came time for my massage I let her know. She was WONDERFUL. She turned my massage into more of a reflexology session with added benefits that she knew would help my headache, and lo and behold- it worked. 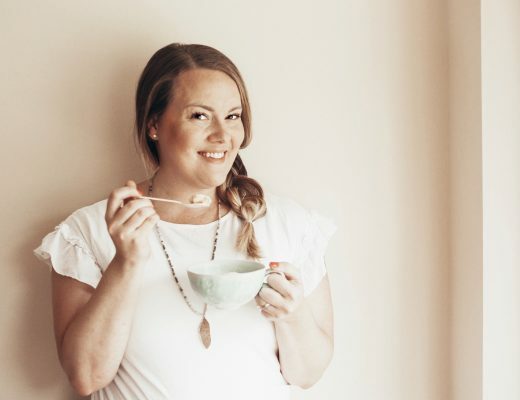 I left as a new woman. Before my massage, I experienced the HImalayan Salt Room. This was a new experience for me that I would totally do again. You sit in a very relaxing room with soft music as a very fine “mist” of salt is diffused into the air. There are a ton of benefits that come with this. 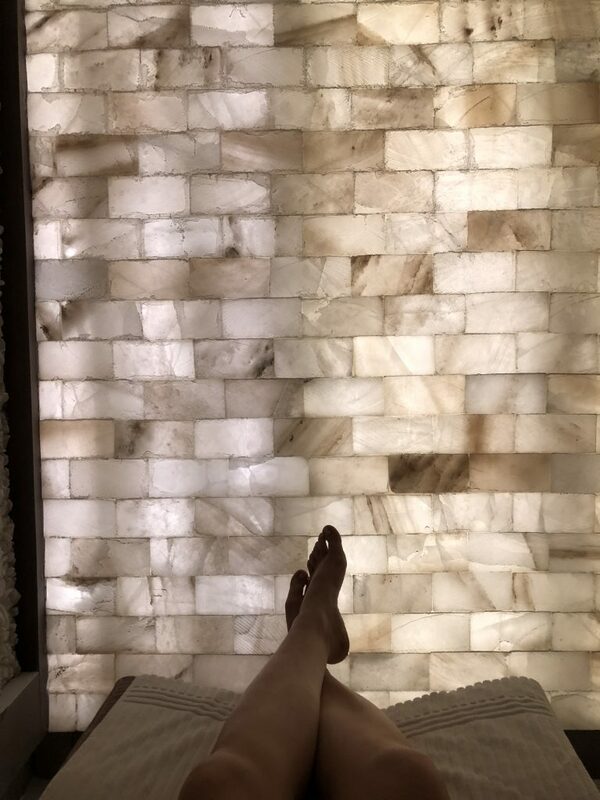 Overall, Spa Avania was a little piece of heaven on earth. 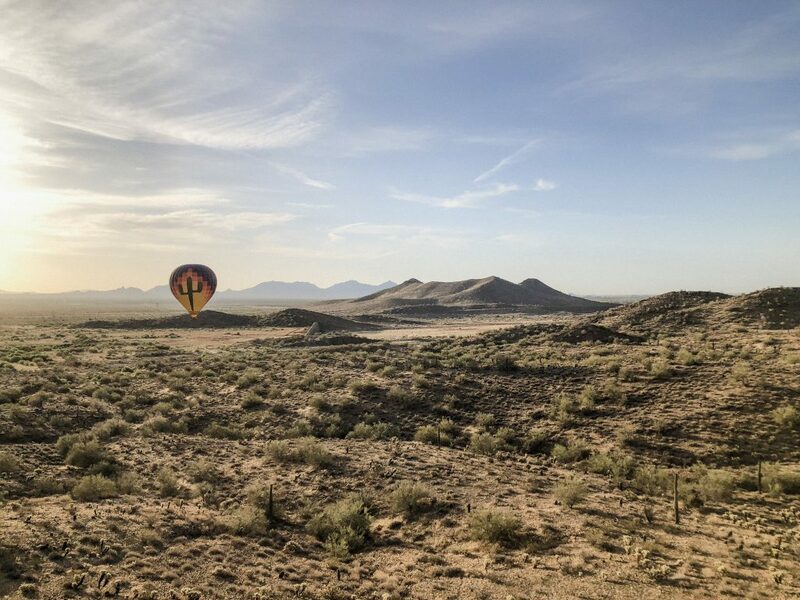 Take a hot air balloon ride with Hot Air Expeditions. 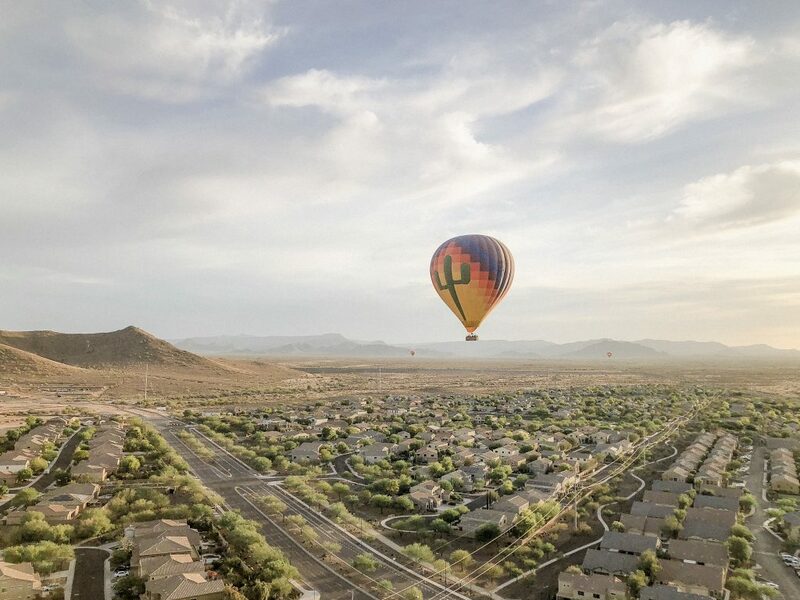 A hot air balloon ride is on everyone’s bucket list, right? As much as I always wanted to do it, I am pretty scared of heights. Regardless, I wasn’t going to let this opportunity pass me by- especially in such a beautiful place. With that, I took flight for the first time with Captain John and our basket of 12-ish people. We soared for about an hour over the Sonora Reserve, admiring the sunrise and learning little bits about the local wildlife and landscape. It was like nothing I have ever experienced. It was breathtaking, relaxing, and exciting. There was something really cool, too, about just blowing where the wind takes you and landing where you land. I can’t wait to do it again in another destination. After we landed, we enjoyed a champagne toast and a light breakfast to celebrate our adventure! 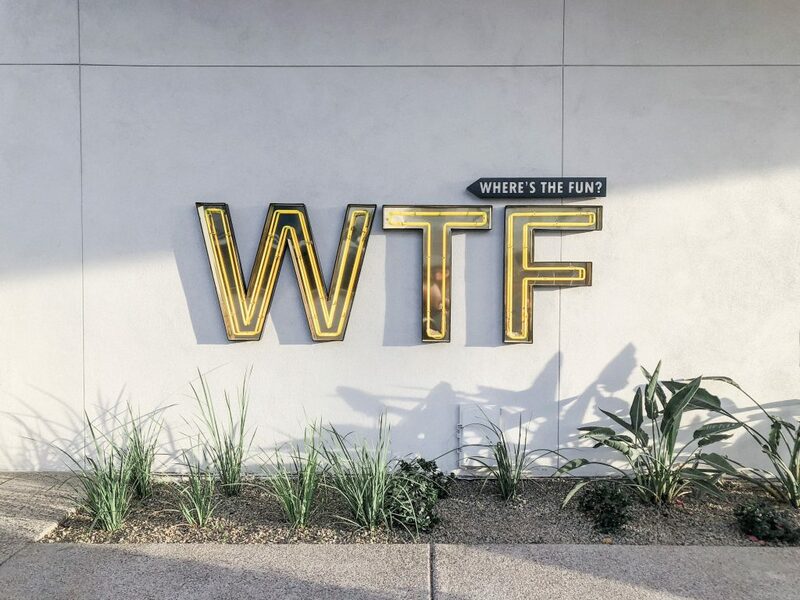 Old Town Scottsdale has all the things to see, eat and shop! We didn’t check out every square inch, but we did manage to visit The Sugar Bowl, a Scottsdale local favorite spot for ice cream treats. It’s a must see! In general, it’s a quaint area to walk around and spend an afternoon. 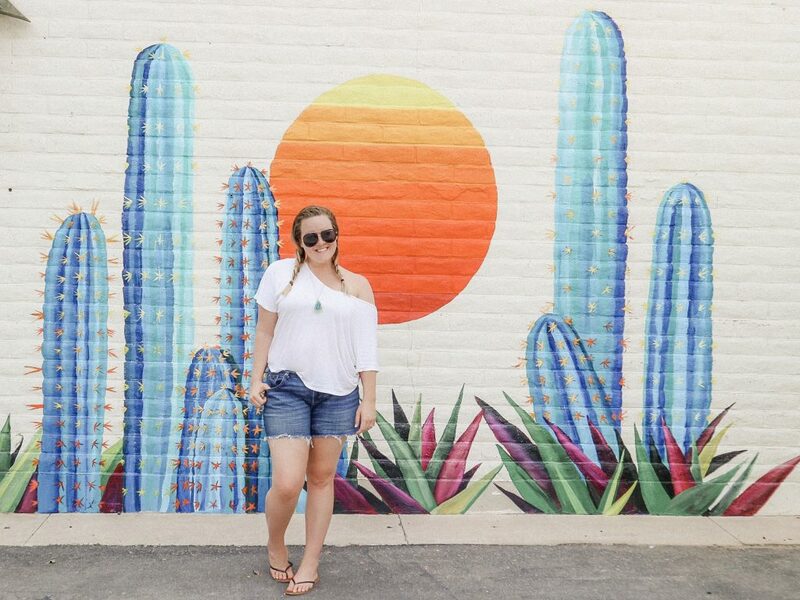 Don’t miss the cute murals around town that make for an adorable photos, either. Visit Papago Park at Sunset. 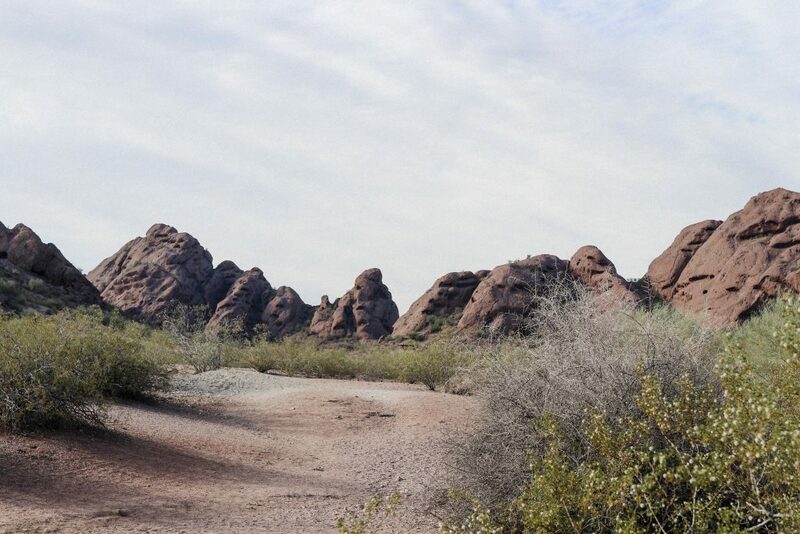 Papago Park is actually close by in Phoenix. 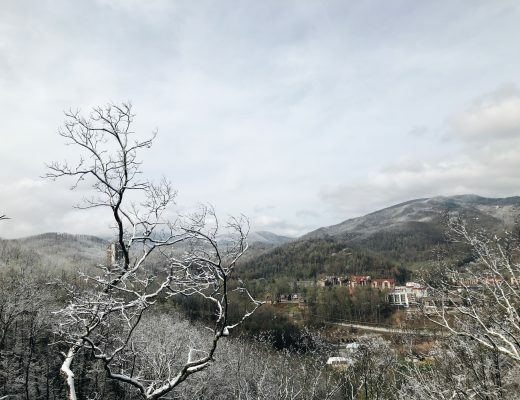 It’s a gorgeous park with trails and scenic views. We actually went there to take Bethanie’s maternity photos and it wound up being the best little detour. It’s easy to walk around in sandals, no tough hiking necessary. There are some amazing photo backdrops to be found there, especially at Golden Hour! The very last thing we did on our trip was a quick hike on Camelback Mountain. We wound up on Cholla Trail, which is actually a more difficult hike. At the advice of the park ranger, though, we didn’t go far. We hiked up enough to get some great views (and photos), and came down once we caught our breath (and ran out of water). 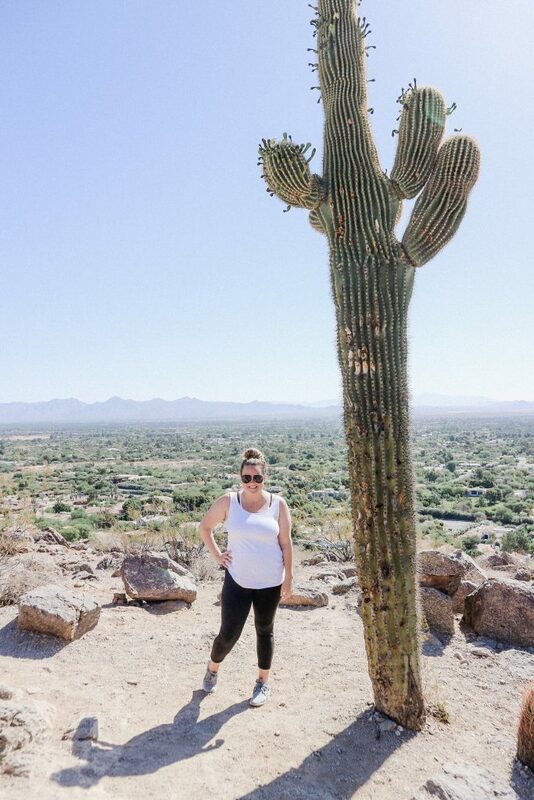 Even if you don’t make it the whole way, it’s worth climbing at least part of the mountain to get a bird’s eye view of Phoenix, and a stellar selfie with a Saguaro. We made the most memories and had the best weekend. 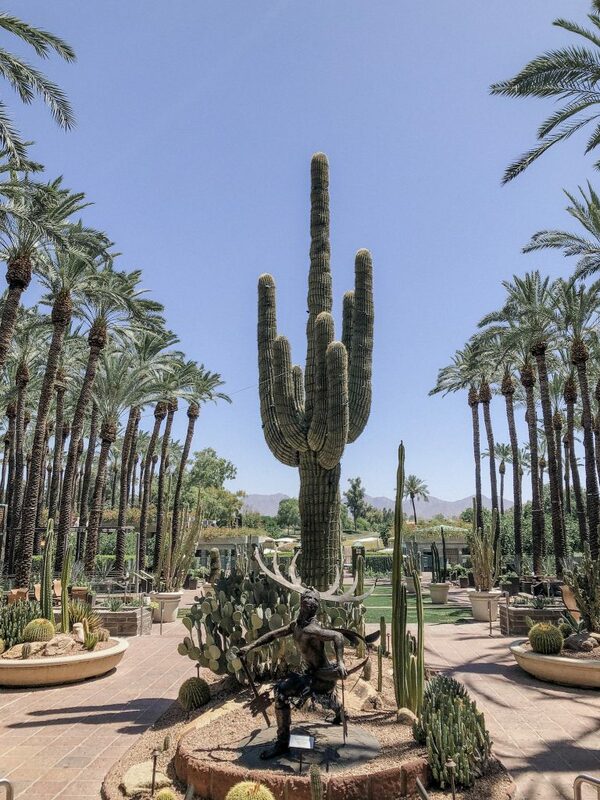 I will never forget my vacation in Scottsdale, Arizona and I can’t wait to come back for a visit. Feel free to comment or email me with any questions! I am happy to make suggestions or give further reviews. Don’t forget to check out everyone else’s Scottsdale recap, too! 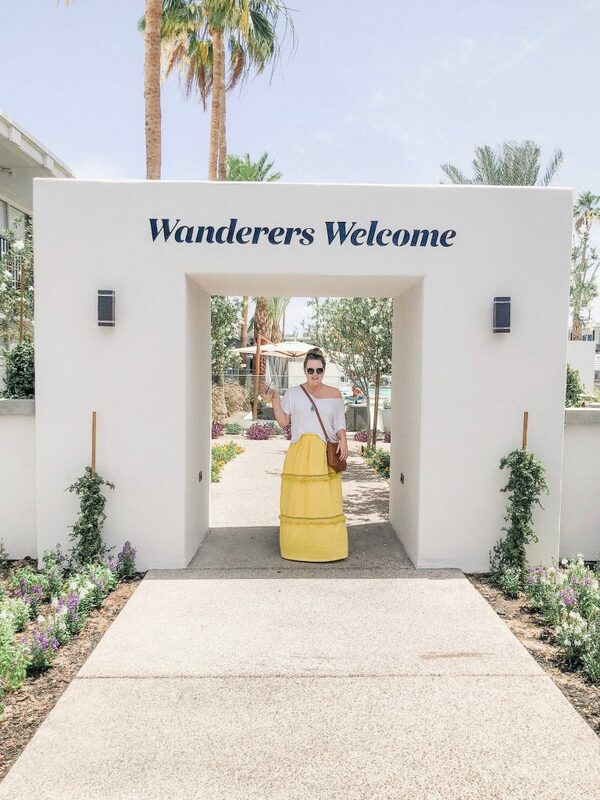 Special thank you to Experience Scottsdale and their partners for hosting us and planning the most perfect itinerary in exchange for our reviews.